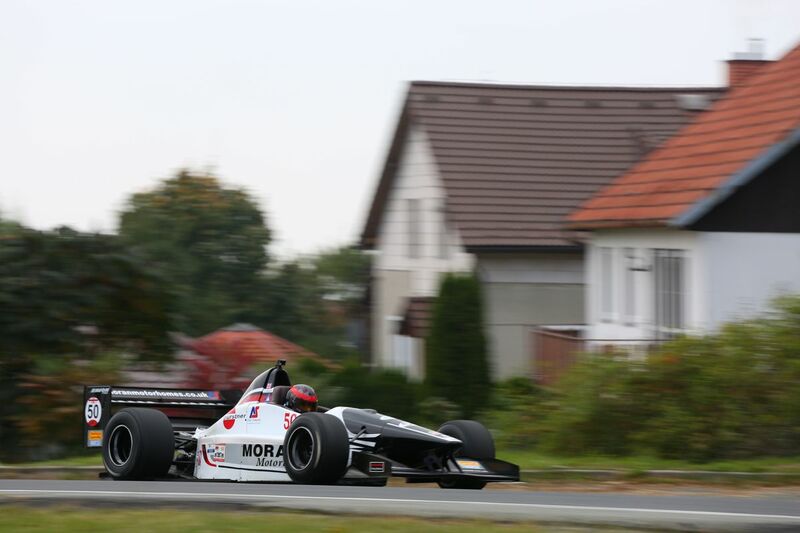 Before the driver presentation, which was both convivial and well-attended, in the heart of the Czech town of Šternberk, on Saturday the competitors in the second edition of the FIA Hill Climb Masters took part in two practice runs. Lucio Peruggini (Ferrari), Simone Faggioli (Norma) and Scott Moran (Gould) were the fastest climbers in each of the three Categories. The serious side of the FIA Hill Climb Masters began on Saturday with two practice climbs by the 111 competitors at the start of the second edition. Although the two drives have no impact on the classification, they do however give some idea of the way things will end on Sunday in Šternberk, in the Czech Republic. It was no surprise that the two leading lights of the FIA European Championship were the fastest in Category 2 at the end of the day, with the best time recorded by the Italian Simone Faggioli (Norma M20FC-Zytek) less than a second ahead of his compatriot Christian Merli (Osella FA30 Evo-Fortech). A third Italian driver completed the top 3 in practice, Paride Macario thus confirming his status as the best “rookie” in European competition this year. The clock proves this: the Italian was well ahead of the other GT cars of France’s Philippe Schmitter (Lamborghini Gallardo FL2 GT3) and Nicolas Werver (Porsche 997 Cup S), confirming him as favourite for the gold medal in his Category. But practice is one thing and the race is something else! On Sunday, three heats are scheduled and only the best time will be taken into consideration in determining the final classification. Don’t forget that the three heats of the FIA Hill Climb Masters will be live-streamed in their entirety on Sunday via the following link: https://goo.gl/LxiRZA. Finally, against the background of such a friendly competition, the presentation of all the drivers, from 16 different countries, was held on Saturday at the end of the afternoon on the main square in the town of Šternberk, in front of a large and enthusiastic audience. A concert was planned for the evening to make this rendezvous in the Czech Republic and grand festival in honour of Hill Climb racing!